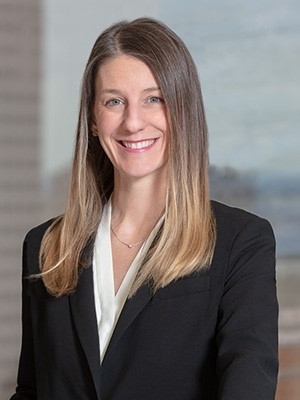 Meghan S. Largent's primary focus is representing landowners nationwide whose property has been taken by the federal government without just compensation. In addition to establishing when the government is liable for taking land, Meghan’s practice centers largely on establishing the value of the land taken. Meghan also focuses her practice on appellate litigation and commercial disputes. She has assisted in drafting dozens of appellate briefs in the U.S. Supreme Court, U.S. Court of Appeals for the Federal Circuit, Eighth Circuit, and Eleventh Circuit, as well as the Supreme Court and Appellate Courts of Illinois and Appellate Court of Missouri. Meghan also has experience in litigation before the United States Tax Court, ERISA, products liability, and toxic tort. "Meghan's thorough approach and diligence led to a successful resolution. She is an incredibly astute and proficient professional."